These are Handcrafted Marble Decorative Items. 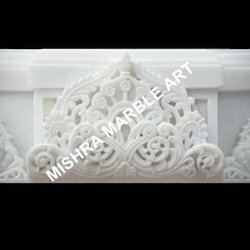 We offer a wide range of Marble Handicrafts to our clients. This Handcrafted Marble Decorative Items is also acknowledged for the smooth finishing and well decorated features. It can be also placed in Temple, House, Garden, Hotels, Restaurants Spa And Boutique for decorative purpose. According to your demanding Sizes in different Marble qualities. This is Handcrafted Pink Marble Decorative Peacock Shaped Leaf. We offer a wide range of Marble Handicrafts to our clients. This Handcrafted Pink Marble Peacock Shaped Leaf is also acknowledged for the smooth finishing and well decorated features. It can be also placed in temple, house, garden, hotels, restaurents, Spa and Boutique for decorative purpose. 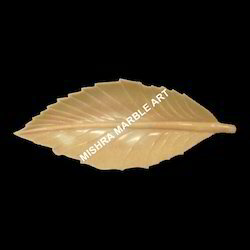 Beautiful marble carved in the shape of Marble Leaf is available. 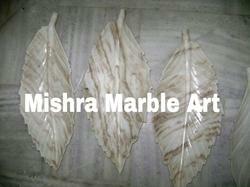 These are Handcrafted Marble Decorative Leaves We offer a wide range of Marble Handicrafts to our clients. This Handcrafted Marble Decorative Leaves is also acknowledged for the smooth finishing and well decorated features. It can be also placed in temple, house, garden, hotels, restaurents, Spa and Boutique for decorative purpose. 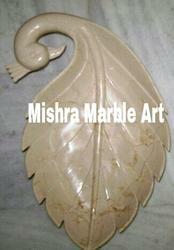 These are Handcrafted Marble Decorative Peacock Shaped Leaves We offer a wide range of Marble Handicrafts to our clients. This Handcrafted Marble Decorative Peacock Shaped Leaves is also acknowledged for the smooth finishing and well decorated features. It can be also placed in temple, house, garden, hotels, restaurents, Spa and Boutique for decorative purpose. These are Handcrafted Marble Decorative Bowl in Flower Shape. 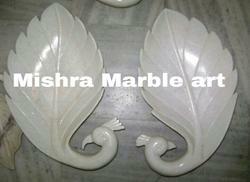 We offer a wide range of Marble Handicrafts to our clients. This Handcrafted Marble Decorative Bowl in Flower Shape is also acknowledged for the smooth finishing and well decorated features. It can be also placed in temple, house, garden, hotels, restaurents, Spa and Boutique for decorative purpose. Our Customer can avail from us the wide range of Marble Decorative. Looking for Marble Decorative Leaves and Pots ?